A self-tapping screw is a screw that can tap its own hole as it is driven into the material. 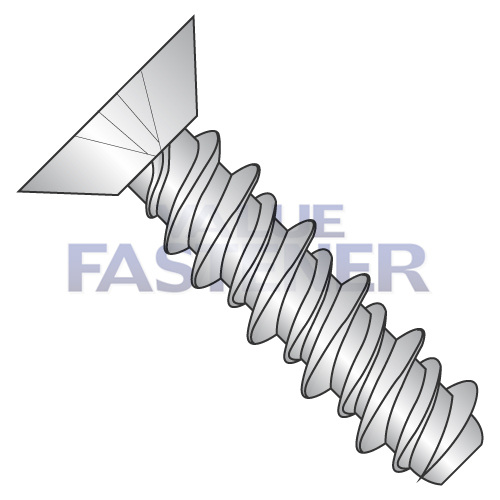 The Self-tapping screw ability is created by cutting a gap in the continuity of the thread on the screw. Some self-tapping screws are also self-drilling. This means that, in addition to the tap on the leading threads, there is also a preliminary drill-like fluted tip. This looks much like the tip of a center drill. These self tapping screws combine a "thrilling" action and the fastener installation itself into only one driving motion. This replaces the task of separate drilling, tapping, and installing. This makes self tapping screws efficient in a variety of hard material applications.